As we welcome the Fall season, we transition. From hot steamy temperatures to cool, crisp air. From bright blues and greens to the changing colors of forest green, amber, scarlet and chocolate. We step out of our bathing suits and t-shirts into sweaters and blazers. Our tastes shift from light summer fruits to the rich Cornucopia harvest of the garden. And we leave our Summer Fun behind and head into an opportune time for Falling in Love. 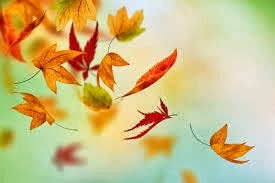 Why Fall in Love this Season? Fall is a season when nature proclaims a mood of romance and we follow in step. We are refreshed from Summer and more awake and open to possibilities. We naturally dive into new things, places and subjects. We connect in deeper conversation and seek to share our inner most thoughts and feelings with people we find fascinating. We cuddle up. And we get serious. Make it a priority this Fall to take your love life seriously. Engage in a next stage of rich relationship interactions, celebration, trust and commitment.